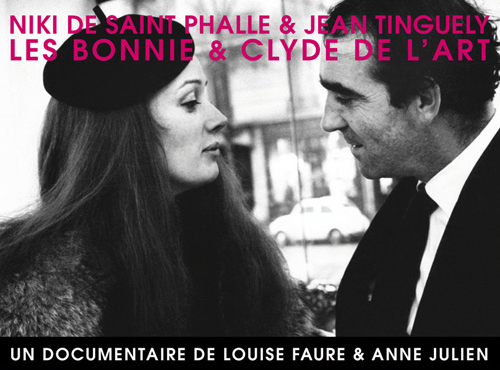 On August 16, the Bechtler Museum of Modern Art in Charlotte, North Carolina, will be screening the film Niki de Saint Phalle and Jean Tinguely: The Bonnie and Clyde of Art. This 2010 documentary details the tumultuous 30-year relationship between the two sculptors, whose work is now on view in the Bechtler exhibition Artistic Relationships: Partners, Mentors, Lovers. A presentation by Bechtler President and CEO John Boyer will precede the film screening. An event reception, including a cash bar and free light bites, begins at 6pm in the Bechtler lobby, followed by the presentation and film screening at 7pm. The Bechtler Museum’s Modernism + Film program investigates themes in design, engineering, architecture, and modern/contemporary art through the lens of film. Developed in partnership with AIA Charlotte and the UNC Charlotte College of Arts + Architecture, the Modernism + Film program is offered the third Friday of each month. Each month’s event includes a presentation to engage audience members about themes highlighted in the film. The full Modernism + Film season can be viewed on the program’s main web page. Tickets are $10 for non-members, $8 for members, and $5 for students with valid school ID. Tickets may be purchased online, by phone at 704.353.9200, or at the Bechtler Museum visitor services desk. Student tickets must be purchased at the visitor services desk.